If its firmly attached a simple mechanical switch is all you need, when its detached the switch is de-activated. But current will be flowing through it. You can also use a seal. How heavy is the object being tracked? If it is a lot heavier than the tracking unit, the peak acceleration of the tracking unit when it is removed will be far more than when it is attached. The difference would need characterising but I guess it will be quite large. 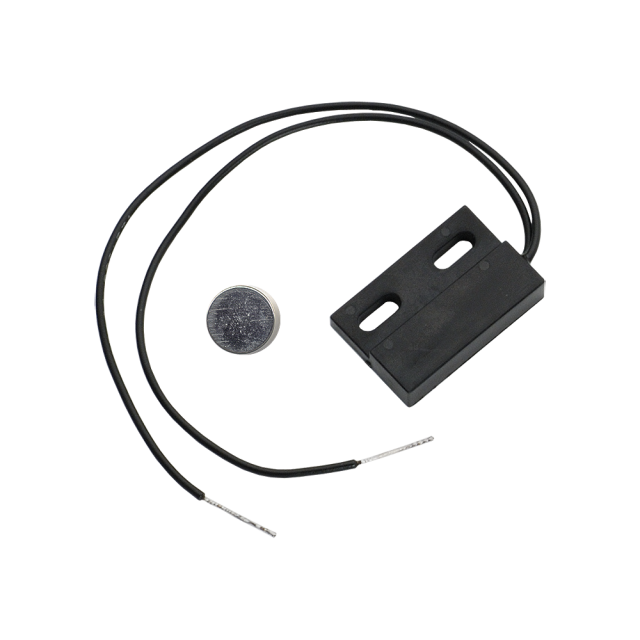 A reed switch behind the attaching surface; a magnet in the object ? I would have bolts attached to the device, slide the bolts through the mounting holes in the wall/floor or wherever and then put very stiff springs on the bolts before adding the nuts. Then put some type of sensor (magnetic or optical) to measure movement of the device before it is ripped off of it's mountings. It's a simple (and common) enough problem, you just need anti-tamper switches (reeds or microswitches) - the problem is where to fit them, and what they do when triggered. ...and what they do when triggered. Sound an alarm for 10 seconds with flashing LEDs, maybe a sign that says "Do not disturb, electrocution risk". But it all depends what it's connected to, how big it is, and what 'services' it has available. The problem here of course (as usual) is the question is far too vague. Does not matters a digital input can do that. Just connect 5V to the device or a switch with 5V to it. When someone pulls the switch will be open. You can connect the switch to the device and a plate nearby. Problem is you need to move the device with the plate or run 5V through it.